5H Ally Brooke wants to act - Oh No They Didn't! 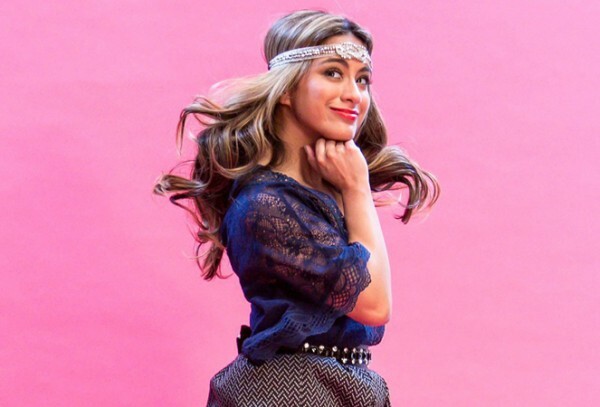 - ally brooke wants to "dive into the acting world" this year. - "i'm excited to express myself through some music this year. this year, i'm really diving into the acting world as well." - when asked about the future of flop harmony "it's incredibly exciting. we are working on our third album, and it is the best experience we've ever had creating a record. so much of our heart and soul is being poured into it. we are being given the opportunity to write and be part of the process more than ever. i smile just thinking about it. there is lots in store and we are all patiently waiting for our music to finally be out!" did you mean to post about Normani but somehow mistakenly posted about Alleyway? now we all know Normani slays them all in her sleep but let me low key stan a fellow Mexican-American sis! it sure as hell ain't going to be Karla nor Selena "Whisper" Gomez. She better rawr! yes gawd! i believe in you legendALLY!!!! Perhaps she can play the "best friend" role in a Lifetime original movie. I could see her on a freeform show, sure. She's adorable. I think she could make it in like a cutesy TV sitcom. Idk. Like something on ABC Family or whatever it's called now. Shoot for the stars, chase your dreams, etc. she's barely a famous singer, don't spread yourself too thin sis!! Aww sweetie. No. I get that your ship is sinking, but don't weigh it down with this.